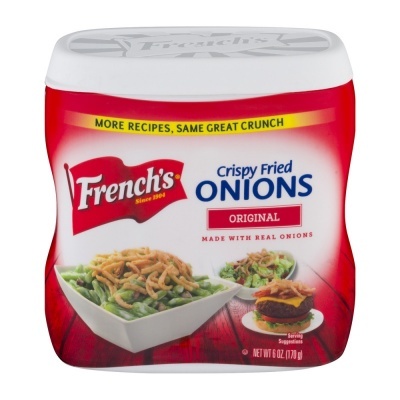 French's French Fried Onions Large 6oz 170g cannister AMERICA'S No 1 Brand Add the crunch and flavor of French's French Fried Onions to many of your favorite dishes. From Green Bean Casserole, Teriyaki Steak with Crunchy Onions and Peppers, and Crunchy Lemon-Dill Salmon to our mouthwatering Crunchy Onion Chicken recipe, French's French Fried Onions can transform any dish into something exciting! 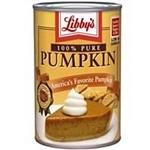 Onions, Palm Oil, Enriched Flour (Wheat Flour, Niacin, Reduced Iron, Thiamin, Mononitrate, Riboflavin, Folic Acid), Soy Flour, Salt, Dextrose.